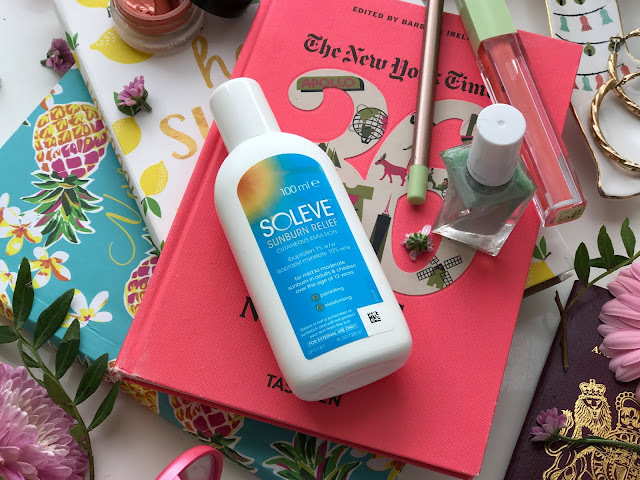 No Soleve isn't a typo but rather a wonderful play on words for a brand name that takes the sting out of pesky sunburn. The often sun soaked months of June, July and sometimes August are wonderful, but regardless of how careful you think you have been with SPF, hats and even resting in the shade, Sunburn can arise and nobody wants that do they? 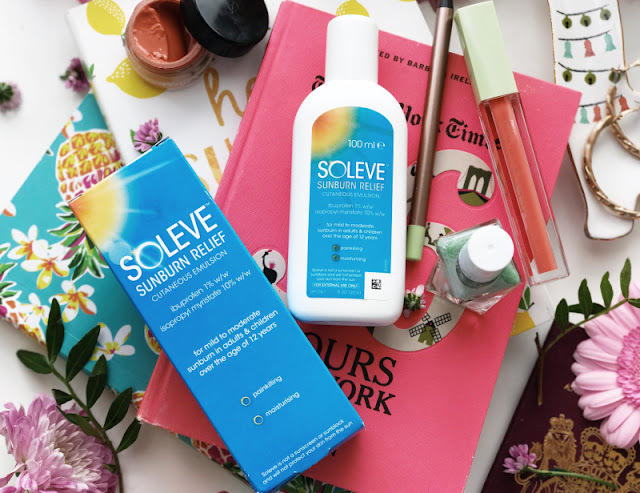 Soleve Sunburn Relief is a one of a kind, topical relief for sunburn licensed over the counter medicine for mild to moderate sunburn which combines ibuprofen and isopropyl myristate, and is only available in the U.K. 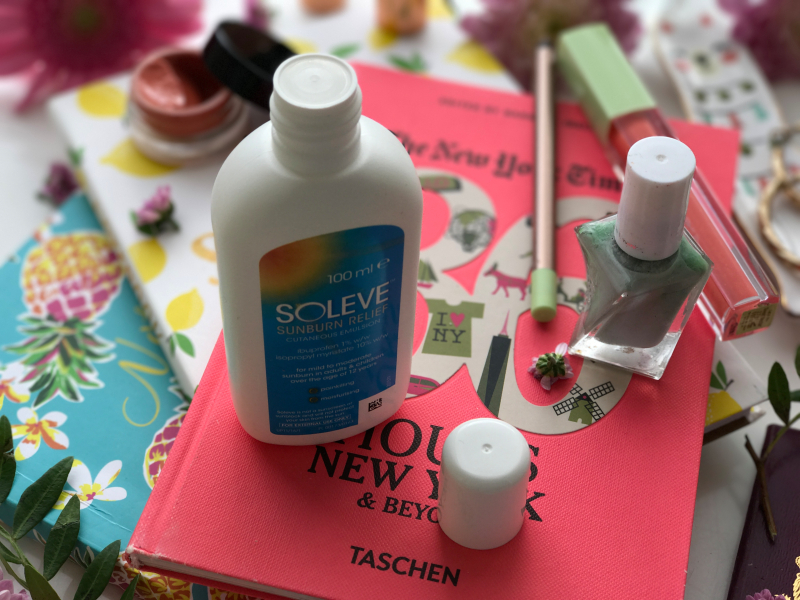 The magic of Soleve is that it incorporates the painkilling power and relief of ibuprofen alongside a soothing moisturiser so that you get the best of both worlds: instant pain relief coupled with a cooling and hydrating lotion for added comfort, and as it all but works as soon as it comes into contact with the affected areas of the skin you will quickly wonder how you ever survived Summer without Soleve Sunburn Relief. Ibuprofen which is a Non-Steroidal Anti-inflammatory Drug (NSAID), which is commonly known as a painkiller that is renowned for reducing inflammation. As it is applied topically it gets straight to the root of the pain precisely where and when it is needed. 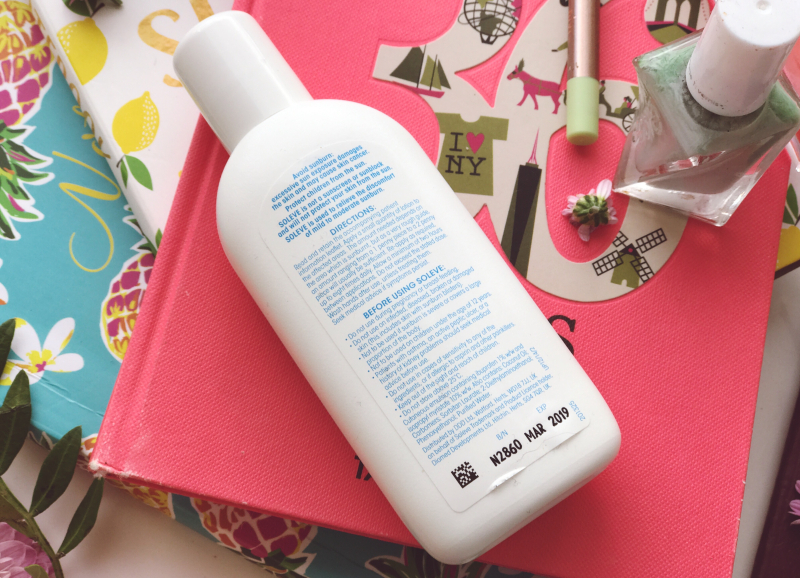 Isopropyl myristate, is an emollient which effectively soothes and moisturises the skin by retaining water. As you may know re-hydration of sun-burnt skin is important in promoting the normal and natural healing process of the skin barrier. 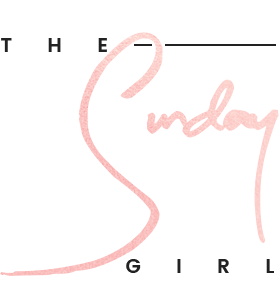 This ingredient aids skin comfort levels by reducing both the skin tightness of mild to moderate sunburn and the frictional irritation between sun-burnt skin, which in turn makes it a lot easier to wear clothing of any type (loose fitting or otherwise). 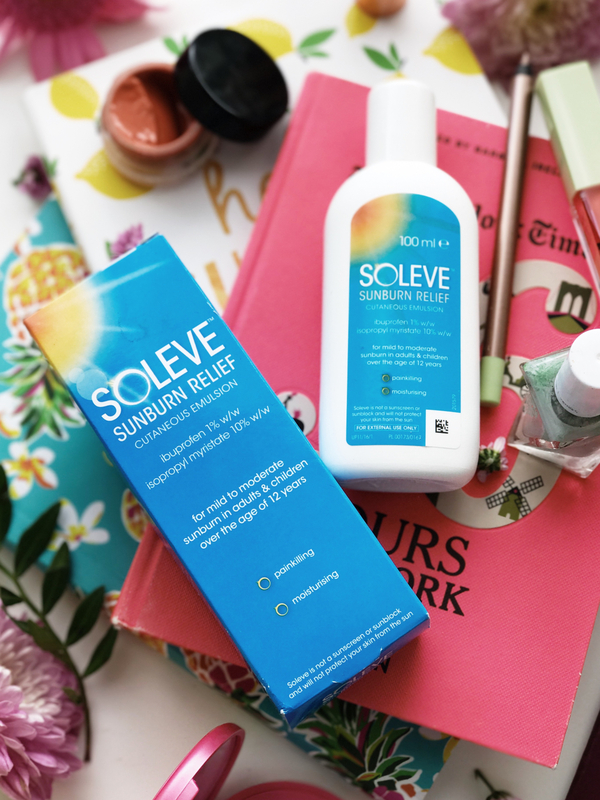 Using Soleve Sunburn Relief couldn't be easier, which trust me you'll be grateful should you experience the sting and nuisance that is sunburn, you will know that time really is of the essence and the quicker you can gain relief the better. 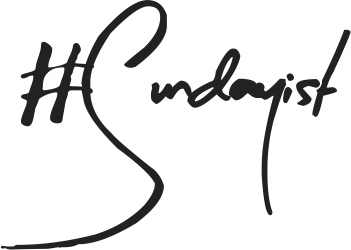 To apply you simply massage a small amount of Soleve Sunburn relief onto the skin - typically as soon as you notice redness and/or discomfort. From personal experience, I would say a little goes a long way and as it spreads very easily due to the lotion constancy, one 100ml bottle is more than adequate for two to three days of full usage for an adult body (Soleve is not recommend for anyone under the age of 12). You can apply up to eight times in a day but as it is so effective, I would be highly surprised if anyone actually needed such level of usage. 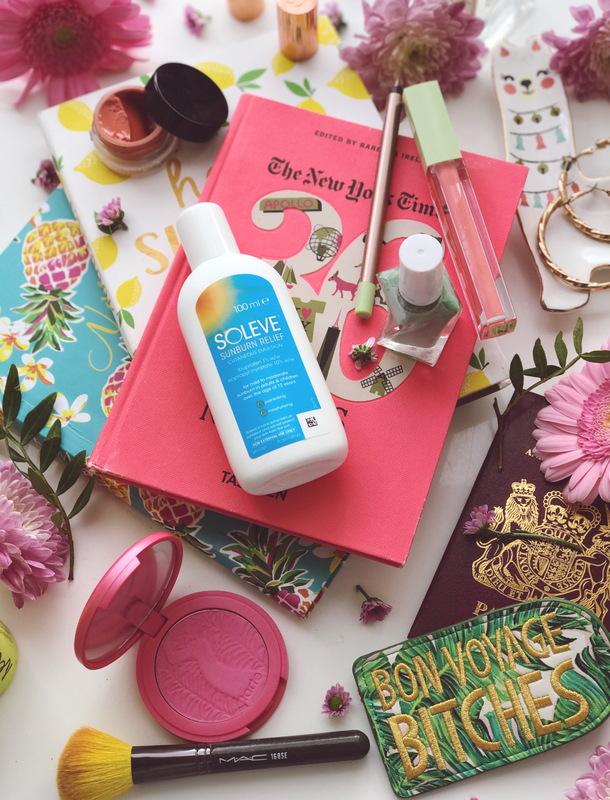 Now nobody really wants sunburn and I know most - if not all - of us do go out our way to avoid damaging our skin in any capacity (and rightly so) but I do believe in preparing for the worst situation possible so do yourself and your skin a favour and purchase a bottle of Soleve Sunburn Relief - better to be safe than sorry! 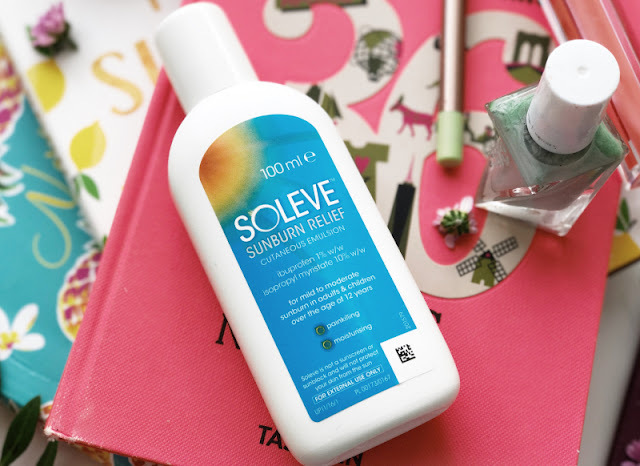 You can find Soleve Sunburn Relief via Boots for £9.95/100ml - link.